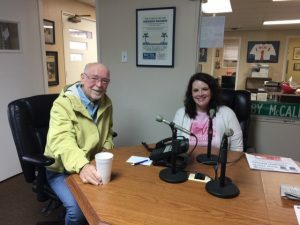 Lenisa Jones with Marshall County Library visited with Jim Freeland recently on WCBL’s Coffee Call Program. This month is the “I Love to Read” program at the library. You can win prizes by reading books. The more books you read the more prizes you can win. And it all wraps up at the end of the month with a big grand finale’ party of the end of the month to celebrate. The party will be March 1, at the Benton branch, with prizes, games, snacks and everyone will go home with a book. Jones says there are lots of events and programs coming up and for more information on those go to marshallcountylibrary.org. For the full interview from WCBL’s Coffee Call, clink on the link at the bottom of the home page.